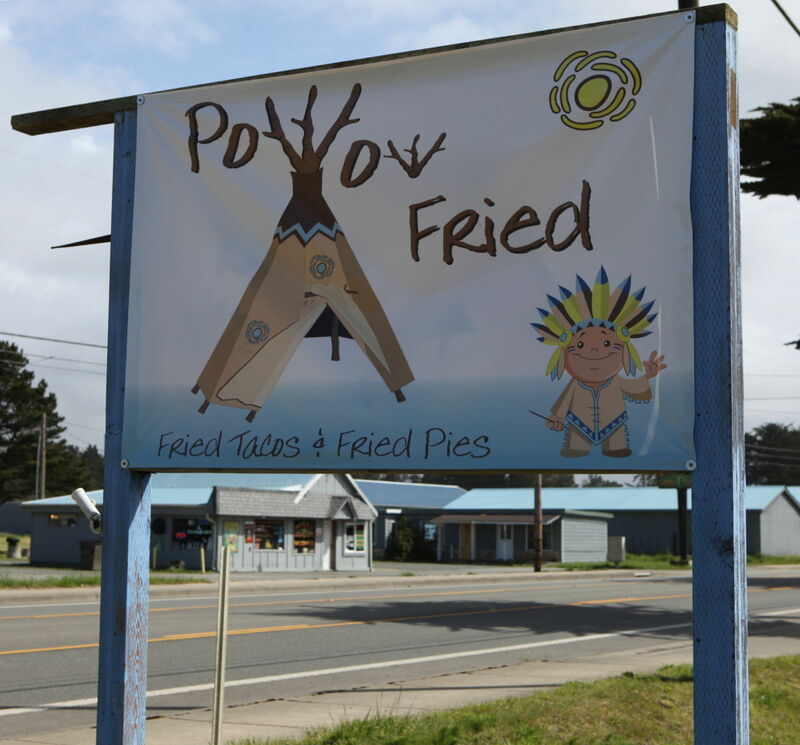 Bandon's Pow Wow Fried name causes controversy. Should it? By Amy Moss StrongA woman in Port Orford, who is not Native American, drove by and the name and logo struck her. The logo depicts a child in a Native American headdress and clothing, standing next to a teepee. The words "Pow Wow Fried" are woven into the artwork. The woman who complained, Sarah Molloy, thought it might be perceived as offensive to Native Americans, so she went on Facebook, found a group for Native Americans and posed her question: "Pow Wow Fried is a food truck run by a white woman who ate fry bread tacos at a pow wow and started her business recently. The name strikes me as not so respectful to natives and her logo seems rather stereotypical. "And:Klein said she only means to honor Native Americans by making delicious food. Though her family's background is European, she spent many years in Reno near the Washoe Tribe and drove school bus for the Washoe County School District. After several years in the district, a Native American friend taught her how to make fry bread. "What have I done to hurt anyone?" Klein asked. "I'm not making fun of them. It was never my intention to do anything derogatory to Native Americans. I just opened a business and what they are trying to do could put me out of business. It would cost a lot to replace all my signage and flyers. "Comment: A tiny tot in a headdress is an honor? And not derogatory? Guess again. Klein learned from the Washoe Tribe of Nevada, but she's "honoring" them with phony symbols from the Great Plains, a thousand miles away. That makes sense only if she stupidly thinks all Indians are the same. As my comments suggest, I think the artwork is the problem, not the name. If Klein hadn't gone with the stereotypical images, I doubt anyone would care about the name. California rejects "John Wayne Day"
Republican: Natives "predisposed to alcoholism"